Released in May of 2017, this novel is a multiple genre work appealing to those searching for a thriller/suspense rooted in the behind-the-lines war of espionage. 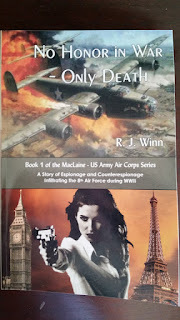 The basis is historical fiction taken from the actual WWII Army Air Corps records of R. J. Winn's father, E.T. Winn. It features two protagonist, one male and one female. 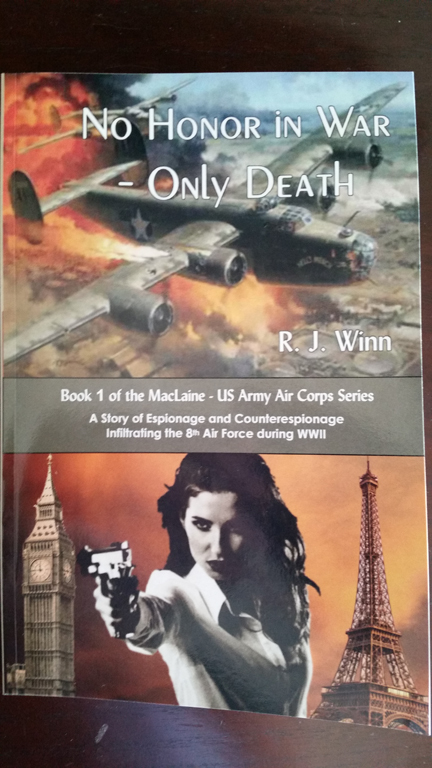 The B-24 pilot is shot down over Europe, and his rescue, orchestrated by the French Underground, evolves into a chase across Europe. Both the Nazi intelligence service and the British intelligence service send their agents to assassinate the American lieutenant who has discovered secrets of national importance. The strong female character is the beautiful English Naval officer that seduces the American pilot into a network of spies and double-agents. There is a romantic element throughout the novel, but the underlying theme found in this blend of factual wartime history and creative writing reveals the brutality and horrors that civilized beings do to each other during wartime. R.J. Winn recently left a long career in the corporate world to return to his love of story telling. He grew up in the 50’s and 60’s listening to the wartime stories of his father and his friends. They told a story far different than the Hollywood movies featuring John Wayne and the glories of war. The WWII veterans described the fears and horrors they faced as young men on the front lines. The Lt. Thomas MacLaine series of novels portraits the stories of those men that sat around Winn's home on Saturday nights, sipping their bourbon. As a former combat pilot during the Vietnam conflict, Winn has incorporated his flying experiences with that of WWII flying operations to provide a factual experience. Readers can follow him on his website at www.rjwinn.com. 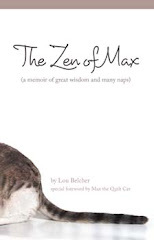 The website is under construction, but it will feature an interactive forum where readers will be able to comment on the book’s characters and events. No Honor in War-Only Death can be purchased on Amazon or Kindle. Readers will be able to meet R.J. Winn at the Meet the Authors Book Fair in the Eau Gallie Civic Center on November 18 and 19th, 2017 in Melbourne, Florida.